Peggy Kupper never colored "pigs pink" Her innate interest has always bordered on the unconventional. Although she studied art in college, her creativity flourished better without instructors who insisted on following "formats." To Peggy, art was to enjoy - to have fun. According to her, " A camera can capture realism." A canvas should capture the creativity of the artist. Peg's subjects capture her love of the out-of-doors - woodland creatures, outdoors sports, and open space landscapes where she has lived and played her whole life. Living in Jackson Hole, Wyoming, drew her to the wildlife of the area - bears, moose, deer, elk, and a host of other critters. However, in the shops she found few wildlife themes in Christmas ornaments. When Peg's two boys were small, she always enjoyed bringing home souvenirs, especially ornaments, from her travels. The search for quality crafted ornaments often left her frustrated. Ornaments that could also be toys - sturdy enough to withstand the antics of two young boys - were an elusive lot. So, she decided to make her own! Her first venture into the hand-crafted ornament world was salt dough ornaments. To her first art show, as almost an afterthought, she brought along some wooden pull-string bear and moose ornaments she had created. The popularity of the bears overwhelmed both her and Larry, her husband. The ornaments she created were introduced at a local Christmas store and became an instant hit! Even Larry saw the potential in her new business! Thus was born Mother Moose Enterprises® (Montana Moose and Co. parent compay). From humble beginnings around a kitchen table in 1986, to a flourishing business today, the Kuppers live the American dream - a business of their own, combining talents, skills, creative genius, and perseverance to make it happen. 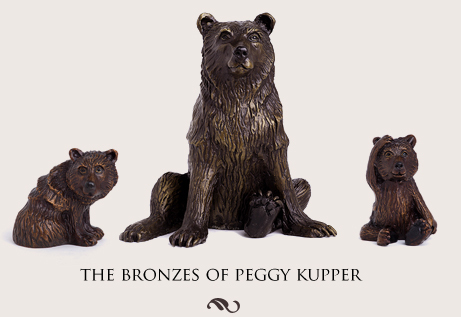 Today, Peggy's ornaments are sold to people in nearly every state of the nation. Designs are exclusively Peggy's but production has been increased to include some "elves" who help in handcrafting the ornaments. Although Peg's children have outgrown playing with ornaments, the family is still all involved in the business. 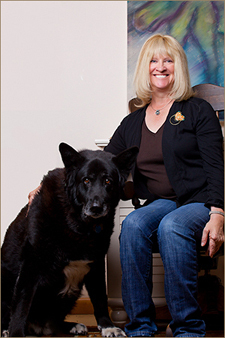 Reaching children of all ages through stories remains one of Peg's dreams. She would like to write and illustrate playful children's books. With Mother Moose as her guide, she may just reach that dream! Her website MontanaMoose.com is dedicated to her newest venture of sculpting limited edition bronzes.